Where’s my free Kindle? I know it’s going to happen, I just want to know when so I can plan accordingly. I remember talking with some other technology writers right after the Kindle originally launched, and one of the first things we wondered about was when we would see a “free” Kindle coming out. No, I’m not crazy, but I’ll explain my thought process anyway so it makes sense. There’s a reason when you buy a manual razor the actual handle is so cheap, and that’s because the company knows that once you buy that, you’re locked into buying their blades. As someone who prefers the close shave of blades, believe me, the blades are just insanely expensive. This concept has been around for so long though, that it has actually worked its way into business text books, and it is believed to be a solid business model. So, where are the subsidized e-readers? I’ve been talking about this concept for a couple of years now, and have said it in who knows how many podcasts, but with the recently announced price drop, the concept seems to be winning more fans. Dennis Kneale of CNBC wrote up a piece about Why Amazon Should Give Away Kindle Free, and the concept seems to be popping up all over the blogosphere for the past week or so. The basic concept is you would get a free Kindle (or some other e-reader) for free when you agreed to buy X amount of e-books per month for the next two years. The other concept is that multiple companies subsidize the purchase when you agree to subscribe to their content for two years, such as say The New York Times or The Wall Street Journal. 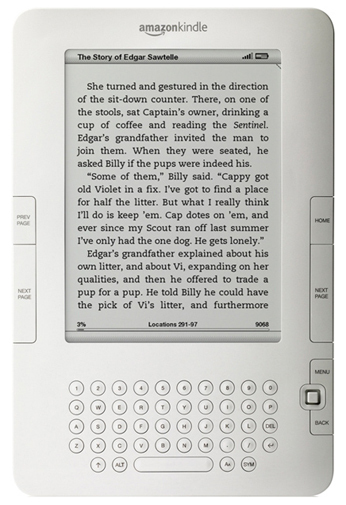 Truly, the only surprising thing about this concept is that none of the e-reader companies have done it yet. The prices are getting low enough that you have to wonder why they aren’t at least trying an experiment with it because the real money is to be made in selling the content, not the physical device. While many of us sit around and pontificate on the idea, however, there hasn’t been any rumors of it happening. Why that it is is completely beyond me. What say you? Would you jump into the e-reader world in a scenario such as this?